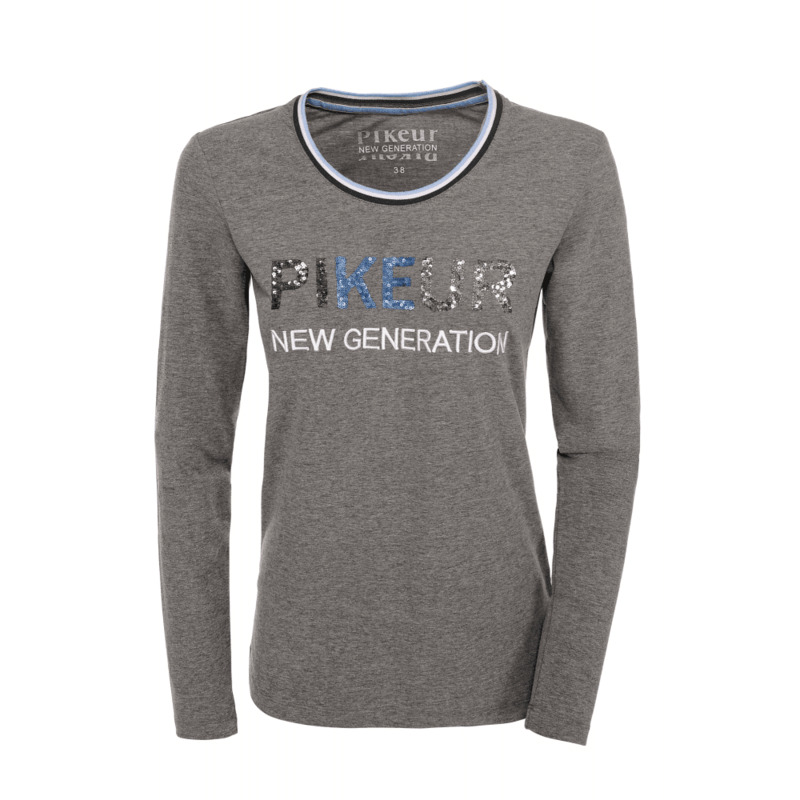 Pikeur Greet Womens Long Sleeve Top - Grey Melange. A fashionable ladies long sleeved shirt designed with a round neck with striped ribbing. Finished with Pikeur sequin labelling and New Generation puffy embroidery. 60% polyester, 35% cotton, 5% elasthane.